The tower was built in 1615 by Peter Carlone. 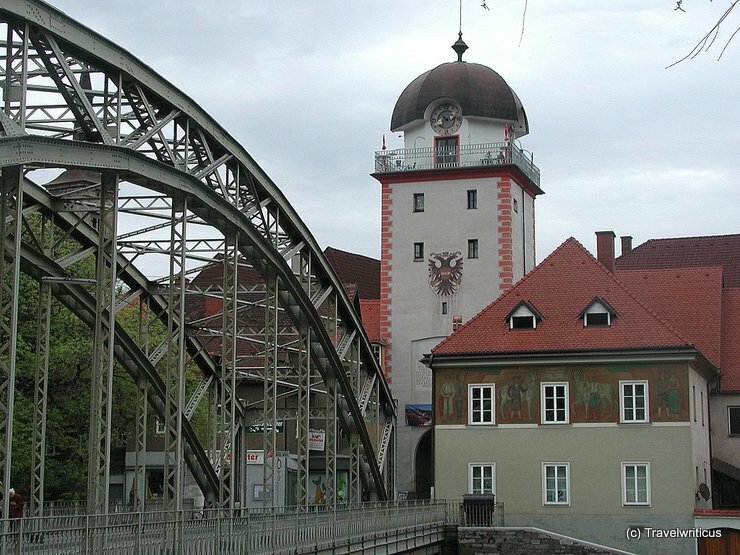 Originally named Mautturm (toll tower), its colloquial name changed to Schwammerlturm (mushroom tower) after getting its new domed roof in 1794. This entry was posted in Towers and tagged Austria, Leoben, Styria by Travelwriticus. Bookmark the permalink.